This aubrite was observed to fall into a murky pond near Marathon. About 70kg were recovered, including masses of 47kg and 13kg. Description, with an analysis, J.T.Lonsdale, Am. Miner., 1947, 32, p.354. Bulk analysis, A.J.Easton, Meteoritics, 1985, 20, p.571. Analysis of enstatite, A.M.Reid and A.J.Cohen, GCA, 1967, 31, p.661. Al-26 data, K.Fuse and E.Anders, GCA, 1969, 33, p.653. Xe isotopic composition, I-Xe age, F.A.Podosek, GCA, 1970, 34, p.341. K-Ar dating, F.A.Podosek, GCA, 1971, 35, p.157. 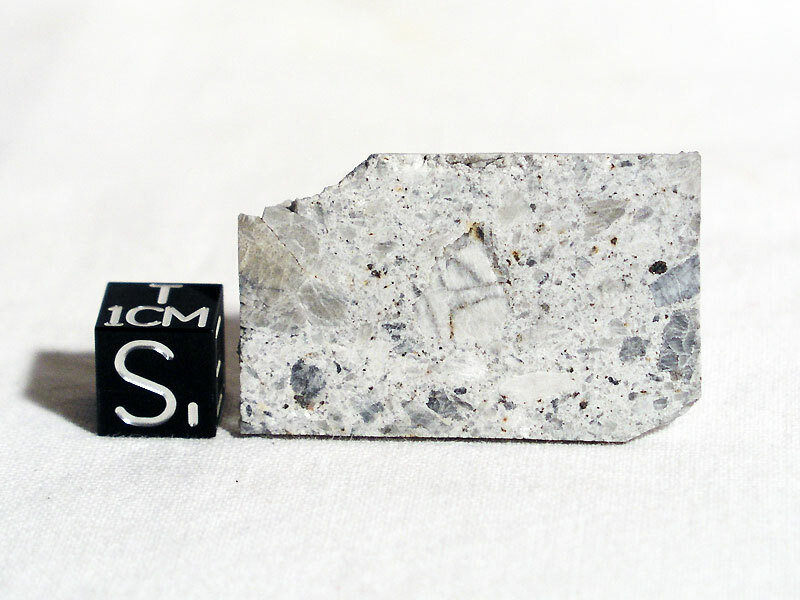 Partial INAA, <0.7% total Fe, R.A.Schmitt et al., Meteoritics, 1972, 7, p.131. UV reflectance spectra, J.K.Wagner et al., LPSC, 1980, 11, p.1193 (abs.). Mobile trace element data, thermal metamorphism study, S.Biswas et al., GCA, 1980, 44, p.2097. Trace element data, R.Wolf et al., GCA, 1983, 47, p.2257. Trace elements in oldhamite, D.S.Woolum et al., Meteoritics, 1982, 17, p.299 (abs.). Oxygen isotopic composition, R.N.Clayton et al., J. Geophys. Res., 1984, 89 (suppl. ), p.C245. 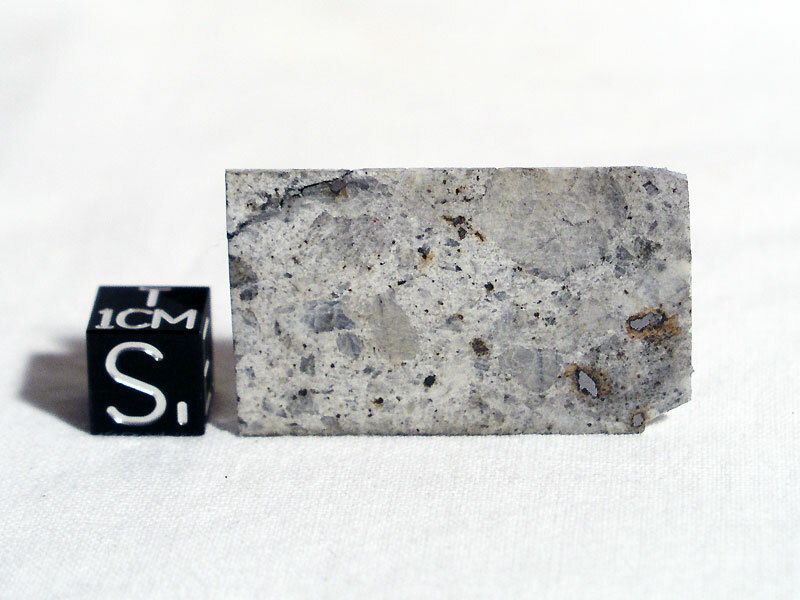 Bulk composition of metal, A.J.Easton, Meteoritics, 1986, 21, p.79. 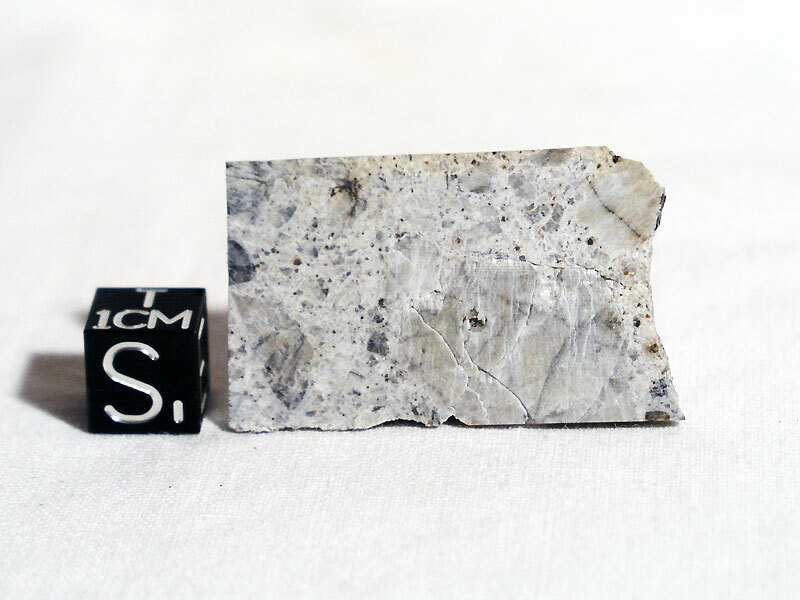 Contains Ag-Cr sulfide minerals; Ag isotopic composition, Y.T.Lin et al., LPSC, 1989, 20, p.572 (abs.). Trace element analyses of bulk and mineral separates, K.Lodders and H.Palme, LPSC, 1991, 22, p.821 (abs. ); see also, K.Lodders et al., Meteoritics, 1993, 28, p.538. Elemental abundances, T.Shimaoka and M.Ebihara, Papers 18th Symp. Ant. Met., NIPR Tokyo, 1993, p.47 (abs.). REE abundances and Cr isotopic composition of oldhamite and associated minerals, A.Fahey et al., LPSC, 1995, 26, p.385 (abs.). Sm and Gd isotopic composition, H.Hidaka et al., MAPS, 1997, 32, p.A59 (abs.). Noble gas and exposure age data, Y.N.Miura et al., Papers 24th Symp. Ant. Met., NIPR Tokyo, 1999, p.108 (abs.). Oxygen isotopic composition, J.Newton et al., MAPS, 2000, 35, p.689. Recovery circumstances, A.J.Ehlmann, Meteorite!, 2000, 6(2), p.36. 53Mn-53Cr isotopic systematics, A.Shukolyukov and G.W.Lugmair, LPSC, 2000, 31, abs. #1473. 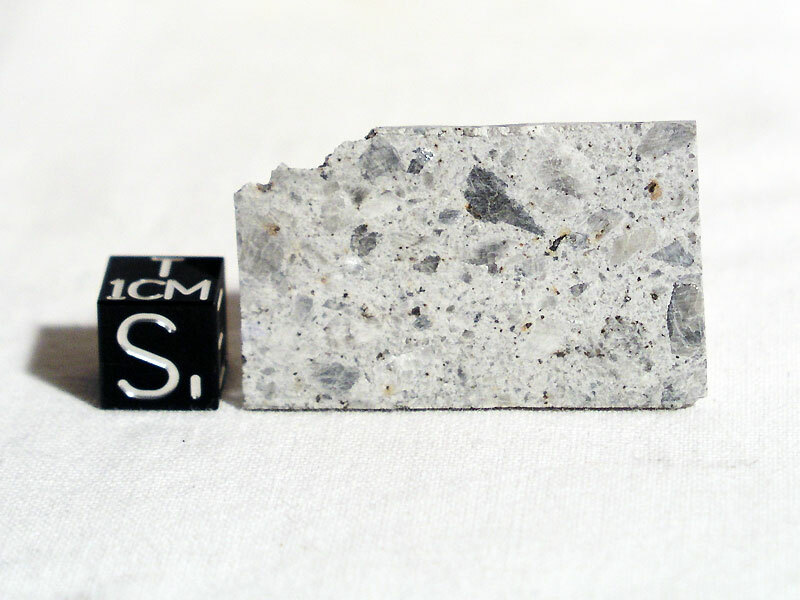 Cosmogenic radionuclides, K.C.Welten et al., LPSC, 2002, 33, abs. #2043. Composition of roedderite, R.A.Fogel, MAPS, 2002, 37, (Suppl. ), p.A48 (abs.). Sm and Gd isotopic composition; regolith history, H.Hidaka et al., MAPS, 2003, 38, No. 7 (Suppl. ), p.A60 (abs.). Oxygen isotopes, Y.N.Miura et al., Papers 28th Symp. Ant. Met., NIPR Tokyo, 2004, p.50 (abs. ).